CARRIE DURKEE is a community organizer, a teacher and an activist. 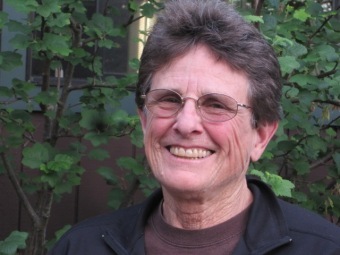 She has worked for over three decades in such movements as the women’s, anti-nuclear, environmental, community rights, and democracy movements. She is currently focused on the question of whole systems change. How can we imagine working together towards creating the culture and the democracy we want to live in? She has been teaching a class at Mendocino College related to these issues and is an affiliate coordinator for Move to Amend, a national organization organizing to amend the Constitution of the US, so that corporations do not have the rights of people and that money is not equal to free speech. This entry was posted in Born To Drum 2016 Faculty Bios. Bookmark the permalink.